It's been 13 years since Will Holland delivered his eclectic, electronica-heavy debut album under the now-familiar Quantic alias. In that time, he's turned into something of a globetrotting fusionist, variously turning his hand to heavy revivalist funk, Cuban beats, cumbia and sweet downtempo grooves. 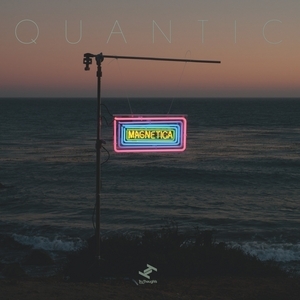 On Magnetica, his ninth album as Quantic, he draws together all of these strands, delivering a dub-heavy set that does a brilliant job in showcasing the sheer breadth and diversity of his influences. With plenty of Latin instrumentation, a huge cast list of guests and nods to early influences such as hip-hop, reggae, electronica and folk, it feels like the culmination of a thrilling, 13-year journey. As a result, it's arguably his strongest set for some time.